Are you looking for an amazing DIY holiday gifts? Look no further! 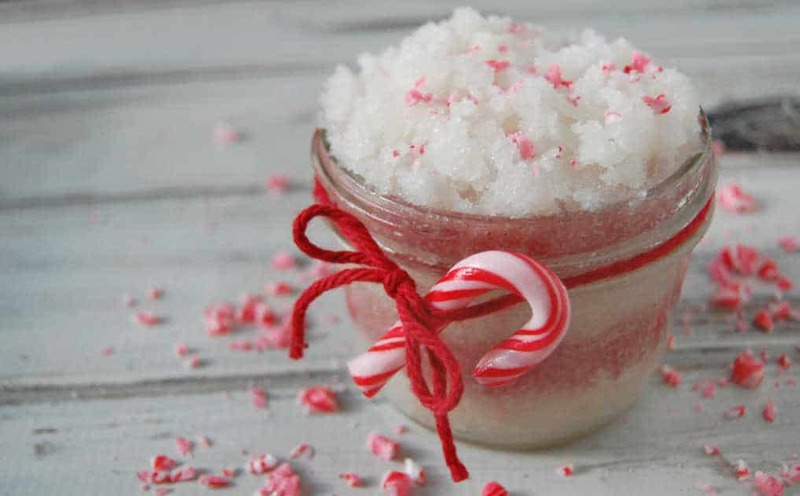 This peppermint candy cane sugar scrub this the thing for DIY gifts, last minute presents, and even stocking stuffers! Winter is the time of year where we all end up with dry skin so what better a gift than this moisturizing peppermint candy cane sugar scrub? I love sugar scrubs (as you have probably noticed by the many scrubs on my blog) I’ve even got a post that lists 52 DIY natural sugar scrubs! So is it really a surprise that I decided to celebrate the holidays with this peppermint candy cane sugar scrub? I think not! 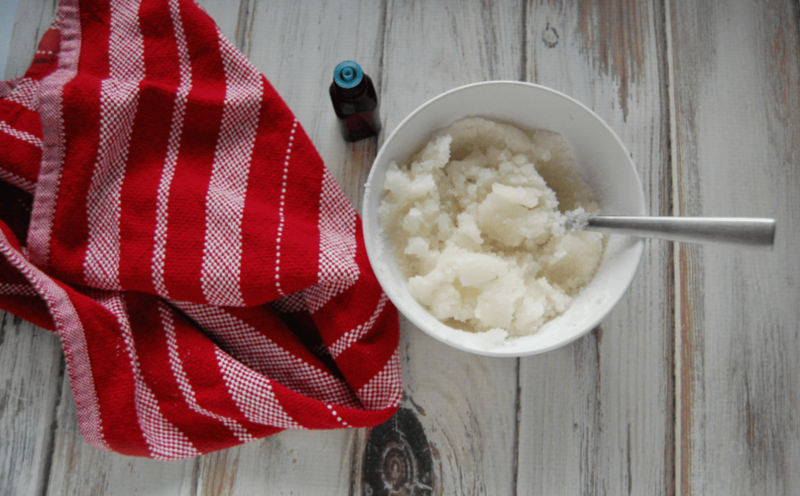 This sugar scrub just uses a few ingredients and most of them you’ll find in your kitchen! I love using coconut oil for my sugar scrubs because of a few reasons. Coconut oil is a solid oil or at least it is at temperatures below 76 degrees. This means it’s a little less messy to use this scrub because it holds its shape a bit better. Coconut oil is also an amazing moisturizer which will leave your skin feeling oh so smooth! 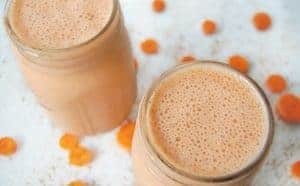 It’s also helpful for aging as it’s packed with antioxidants. But if you just don’t love coconut oil, feel free to swap it out for your favorite skincare oil. Peppermint is added to this scrub mainly because of its scent purposes. Where would a candy cane sugar scrub be without the peppermint? I prefer to stay away from artificial dyes as much as possible and so I use beet root powder to make the red part of this sugar scrub. 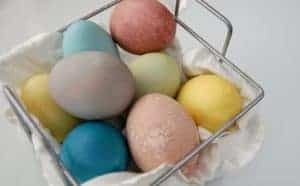 You could use a natural food coloring if you prefer but beet root powder is a really nice, less messy way to dye the sugar scrub. I know not everyone has essential oils or that not everyone has the time to go out and buy essential oils when pressed for a last minute gift. Thus I’ve come up with two methods for scenting this candy cane scrub! The first method uses peppermint essential oil. Peppermint essential oil is strong stuff so a little will go a long way. 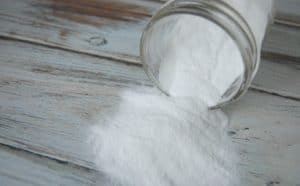 The second method uses peppermint extract which everyone is much more likely to keep in their homes. Using peppermint extract means you likely have all the ingredients for this scrub already in your kitchen ready to go when you need a last minute gift. 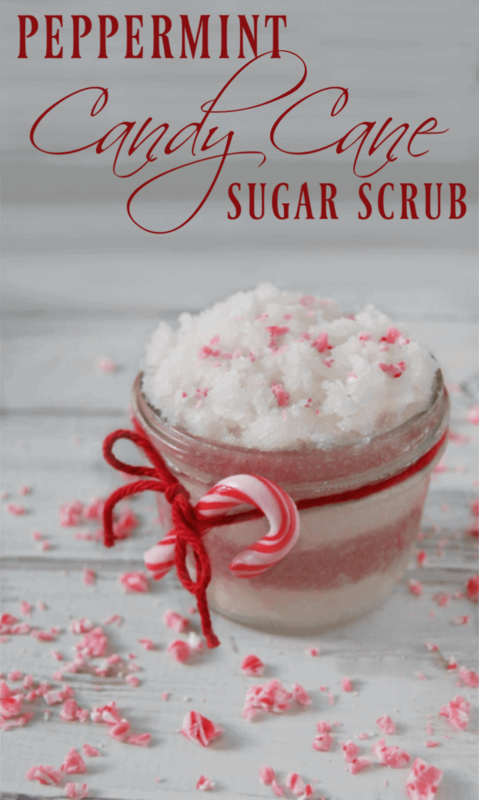 It also makes this candy cane sugar scrub 100% edible… in case you need a taste. Mix sugar, coconut oil, and peppermint in a small bowl. Divide mixture into two separate bowls. Leave one bowl as is (this will be your white scrub). In other bowl, mix in the beet root powder (this will be your red scrub). Layer the two colors in your container of choice. (I love these jars). To use, gentle massage over your skin and rinse off. Need more holiday DIY gifts?